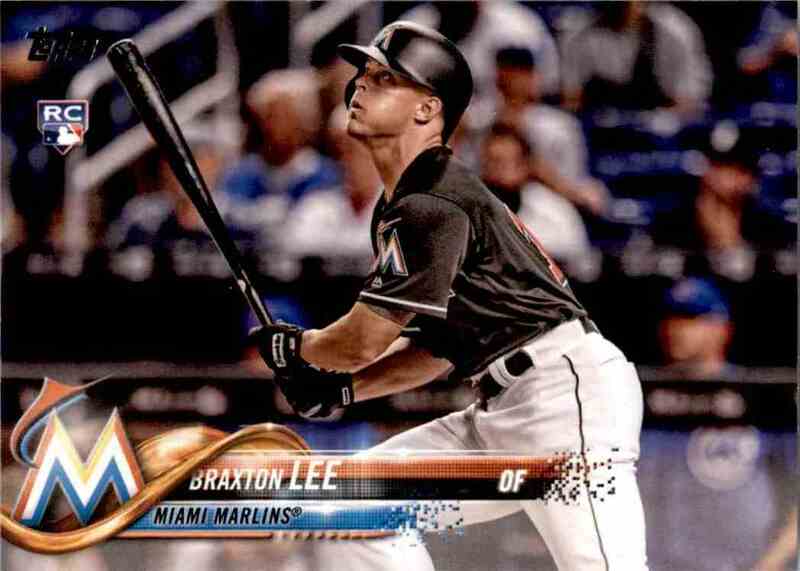 This is a rookie Baseball trading card of Braxton Lee, Miami Marlins. 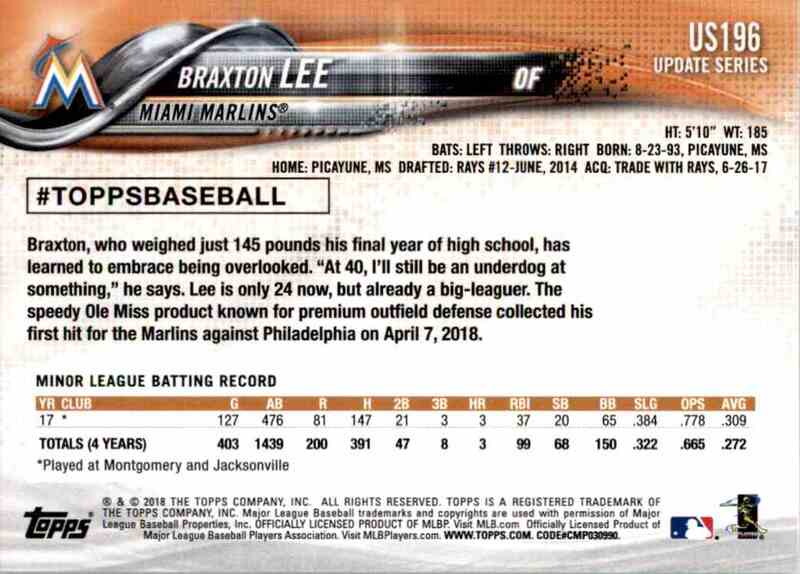 It comes from the 2018 Topps Update Series set, card number US196. It is for sale at a price of $ 3.00. Our mission is to provide **realisticly** priced collectables that everyone can afford. I will acept offers automatically, (many ore accepted at 25-50% off) just click and offer, Kronocard will automatically do the processing of the offer. Shipping is only 40 cents plus 10 cents times the number of cards ordered. All cards are shipped, if ordered individually, in stiff plastic sleeves for their protection. Otherwise multiple orders are shipped in bubble wrapped packages.